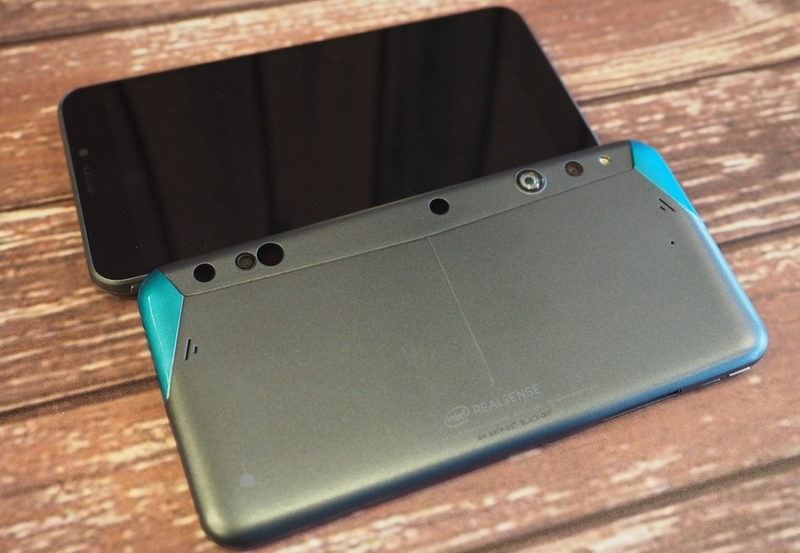 Google launched its Project Tango 3D-sensing tablet last May and now, it's Intel's turn. After showcasing a prototype of its Project Tango smartphone at its developer forum last year, the chipmaker at CES launched a pre-order campaign for those interested in giving the finalized handset a go. As the name suggests, the RealSense Smartphone Developer Kit was designed for devs interested in tinkering around with the 3D vision capabilities that Intel's RealSense ZR300 camera affords. The smartphone features a 6-inch QHD (2,560 x 1,440) display that's powered by Intel's Atom x7-Z8700 processor and Gen 8 graphics. There's 2GB of RAM on tap as well as 64GB of local storage, a "regular" 8-megapixel rear-facing camera and a 2-megapixel selfie cam. Bluetooth, Wi-Fi and HDMI connectivity come standard. As this isn't really meant to be an everyday Android smartphone, Intel elected to go with a 3G radio rather than 4G LTE. The real star of the show is, of course, the RealSense camera. I had an opportunity to try out a version of Intel's RealSense camera last year as part of my review of Dell's Venue 8 7000 tablet. While I could certainly see the potential of the technology, it didn't feel polished enough at the time and the tablet form factor felt out of place. With an additional year under its belt and in a smartphone, I suspect it'd offer a much better experience. The RealSense Smartphone Developer Kit is available to pre-order as of writing for $399 sans contract for US customers only. No word yet on exactly when it'll ship.